There are so many different storms throughout our life and I’ve been through many. 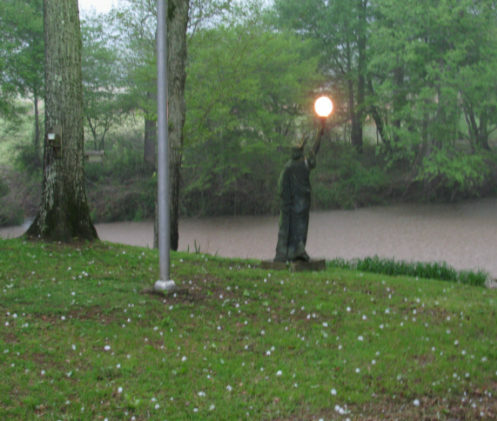 I have seen wind storms blowing trees down, snow storms which were too deep to drive your car in, rain storms that caused large trees and logs to float down a river, thunder and lightning storms which blew bark off of trees but today was a HAIL OF A STORM!! We were sitting here at the cabin with Favorite Uncle, eating pizza and watching Judge Judy (exciting night), when we hear a low roll of thunder in the distance. Looking at the radar, we see a large thunder-storm with possible hail a couple of counties away moving our direction. Not to worry, it’s still a distance away and could miss us. 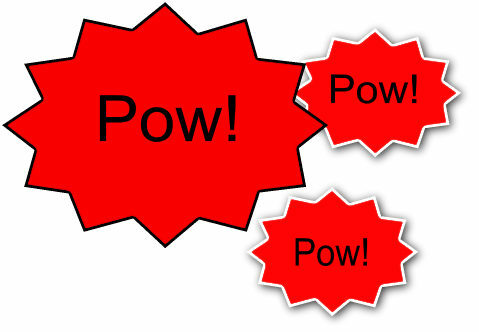 Then we hear some strange sounds outside like something exploding. Hubby and I both jumped up because we thought maybe a tree limb had fallen on the garage roof. We ran outside and saw nothing. Then it happened again and we thought pinecones were falling off a tree and hitting the propane tank. 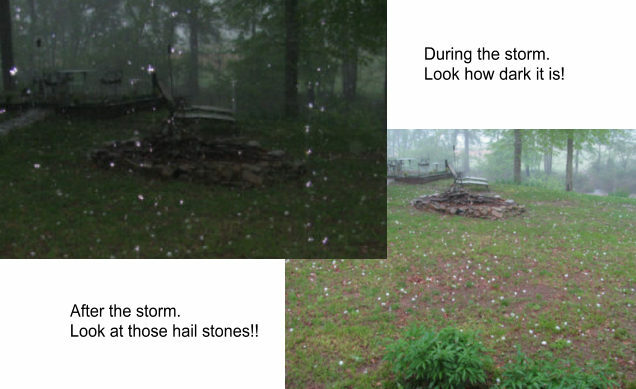 Then Hubby yelled “it’s hailing” and ran back inside. Just missed getting hit in the head. That would’ve hurt, don’t you think? 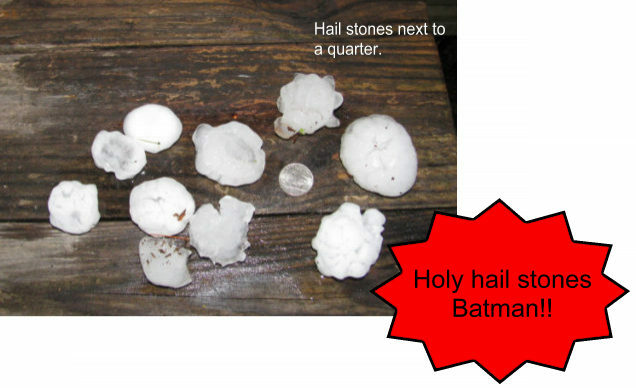 Then all hail broke loose! Huge balls of ice starting falling to the ground. 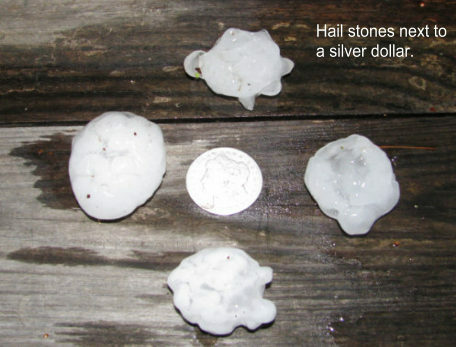 When they started falling they were the size of tennis balls. The sound on our tin roof was amazing. Scared Lil’ Bit and she ran to the bedroom and hid under the bed!! Nothing scares her very much so you can imagine how loud it must have been. 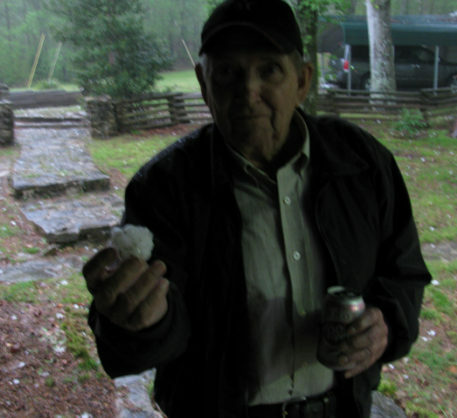 Hubby’s favorite uncle, holding one of the hail stones. The size of these stones was unbelievable. The above pictures were taken about 30 to 45 minutes after the storm. They had already melted a little, if you can believe that!!! Through it all Lady Liberty stood her ground and came through it unscathed.